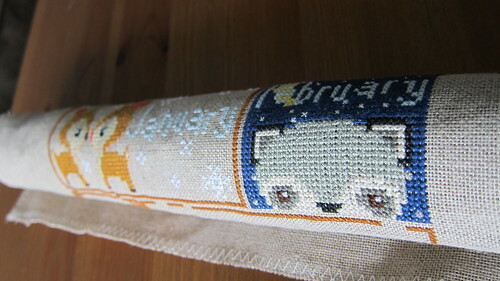 I've signed up for more than a few subscription type craft projects over the years and I can honestly say that I have been completely unable to keep up with any of them. Now when I say that, I don't mean that I'm a month or two behind, rather that I rarely ever start the project, let alone finish it. Well apparently times are a changing in my household because after a few flights and a week of holiday I am proud to report that for the first time ever, I am actually caught up on my Woodland Sampler. 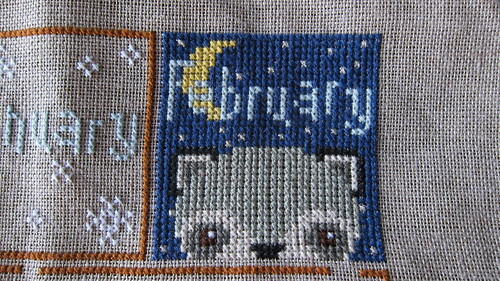 All of the frames and both the January and February instalments of the project are done with a capital D (meaning that even the backstitching is finished). I am beyond excited and can't wait for the next pattern to find its way into my inbox. In a fit of optimisim, I'm actually thinking that I might manage to stay on top of this one. Two months down, only ten more to go! 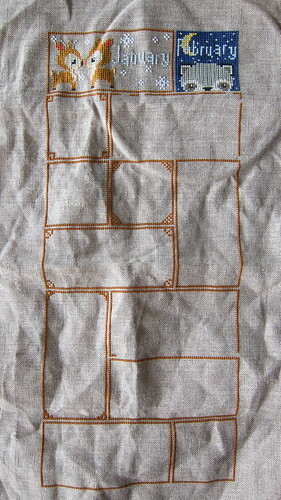 Your Sampler looks awesome!! 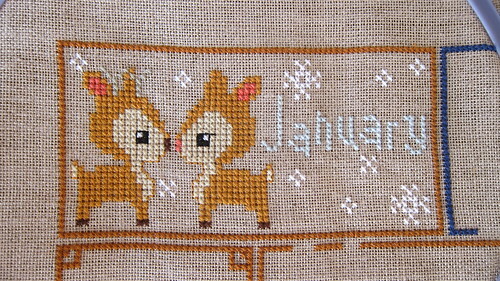 I signed up for that too as i love woodland animals but i have never cross stitched and haven't sat down to figure it out. Seeing yours makes me want to figure it out so i can get started on it. getting the frames done seems a little over whelming. nice work! !